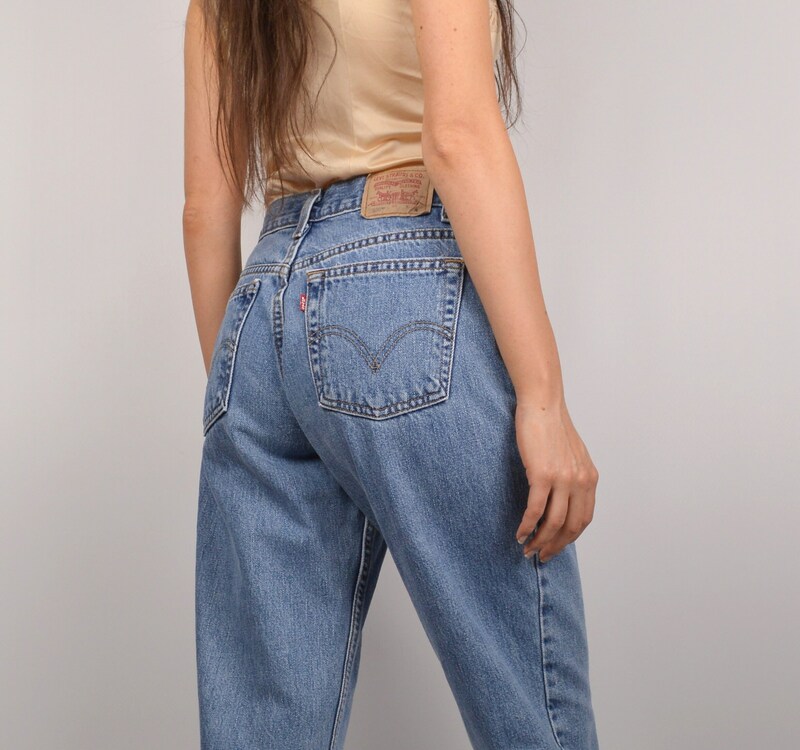 Label - Levi's 550 - Levi Strauss & Co.
● Orders will be shipped within two business days of the purchase date. Stellar Vintique is not responsible for lost or stolen packages. *If an item is sent back to the return address because it was unable to be delivered for any reason, the buyer is responsible for the cost of shipping it again. Please make sure that the shipping address is correct. USA: All items shipped within the U.S. are sent with USPS and include a tracking number. Items that weigh under 1 lb. will be shipped via First Class Mail which is the most economical option in order to save the buyer money. Items weighing over 1lb will be shipped via Priority Mail. Items should arrive within five business days from the date shipped. INTERNATIONAL: All items leaving the U.S. are sent with USPS First Class Mail and do not have a tracking number. International buyers are responsible for any additional customs or duty fees that may apply after delivery of the item. Please allow AT LEAST 14 business days for items traveling outside of the U.S. to arrive. UPGRADED SHIPPING: If you want to upgrade shipping to include insurance, expedite shipping time, or include tracking, you must send request prior to purchasing so that the shipping price can be adjusted. All sales are final. That is why measurements are given for every item and SV is happy to answer any additional questions regarding an item. If you feel that the listing greatly misrepresented the item you received, PLEASE contact SV immediately so the situation can be remedied. The top priority is to ensure that you are happy with your shopping experience at Stellar Vintique. Measurements are taken in inches. The best way to determine if a garment will fit is to measure yourself or your clothing and then compare that to the garment's measurements. Don't forget to allow room in the fit for comfort while sitting, etc... The waistband on bottoms is held taut while measuring to provide the most precise measurement possible. 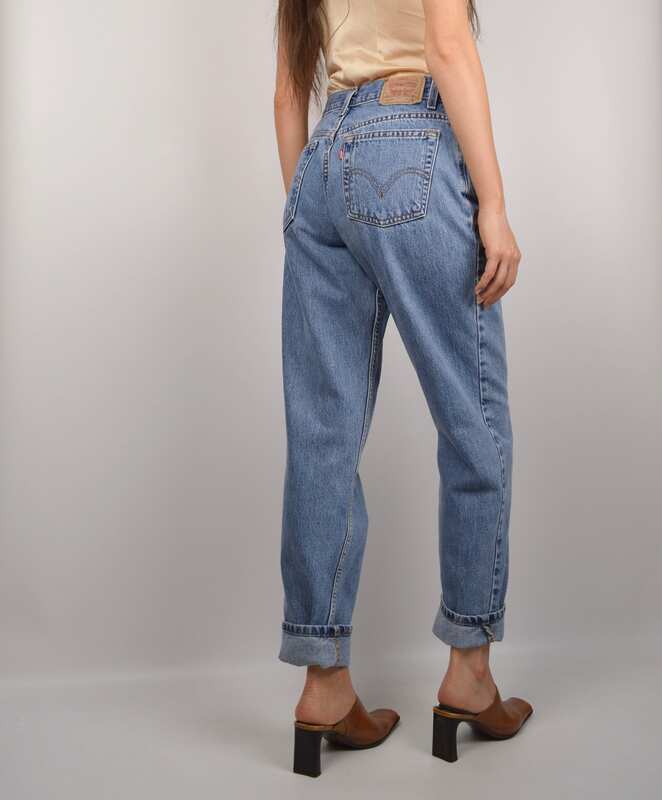 If your waist measures 26 inches, it would be a good idea to by jeans that have a 27-inch waist to allow for "breathing room". Vintage sizing is very different from modern sizing. For example, a vintage 6 may fit like a modern 0. That is why it is especially important to judge the fit based on the measurements. Clips are rarely used to alter the fit of the item on the model, but if so it will be stated in the description. The goal is to show the item exactly as it is. Please note that colors can vary widely from computer screen to screen. Please keep in mind that vintage clothing by definition is decades old and in most cases pre-worn. Flaws of note will be stated.